The dark comedy Mr. Burns, A Post-Electric play debuted to acclaim and award nominations in 2012, and this fall it makes its regional debut in Austin, courtesy of the theater program at St. Edward's University. David Long, artistic director of St. Ed's Mary Moody Northen Theatre, was keen to bring Mr. Burns to Austin because he was "excited about not only the premise, but the content, dealing with something that travels in time, and most importantly... the importance of community [and] theater." Mr. Burns spans more than eighty years, beginning in a post-apocalyptic near future. With the electrical grid destroyed, a group of survivors bond by retelling the plot of the "Cape Feare" episode of The Simpsons around a fire. In act two, seven years have passed, and the retelling has grown into a theatrical production, with actors recreating the episode as a play. In act three, a further seventy-five years have passed, and "Cape Feare" has now become a Greek-style myth, recreated in song and dance from memories that have been passed down year by year. 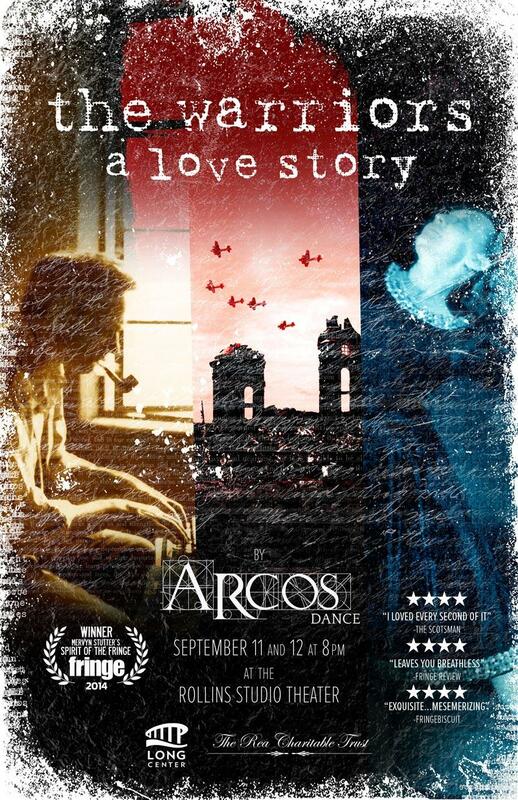 Long is proud of what his ensemble cast and production crew has accomplished. "The ensemble and the production team that I've assembled have really helped develop this way beyond my initial vision for the show," he says. "I think it will be a really profound piece of theater." 'Mr. 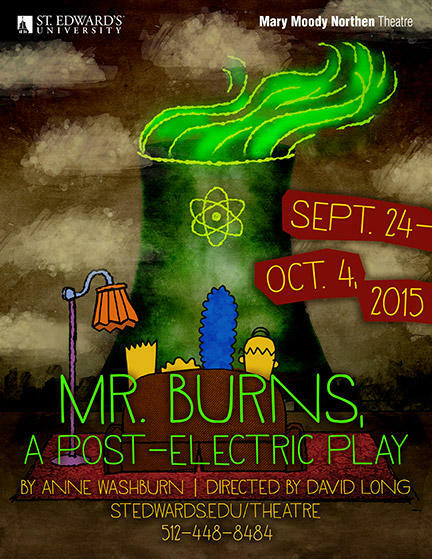 Burn, a post-electric play' runs through October 4 at the Mary Mooden Northen Theatre. Nat & Veronica (Nat Kusinitz and Veronica Hunsinger-Loe) are theater artists from New Orleans, and they're currently partnering with Austin's Rude Mechs to bring their show She Was Born to local audiences. 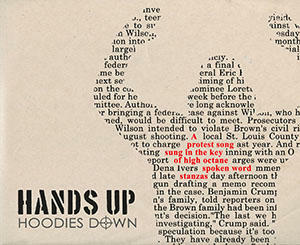 Hands Up Hoodies Down was originally staged in March of this year at the Vortex, but its origins go back to 2012, when the killing of Trayvon Martin affected Miller, in his words, "not only as an artist, but also as a dad." In the years since, he continued to read more and more news stories about the violent deaths of black Americans, often at the hands of police officers. "It just got to the point, for me as an artist," Miller says, "I felt like I needed to say something."